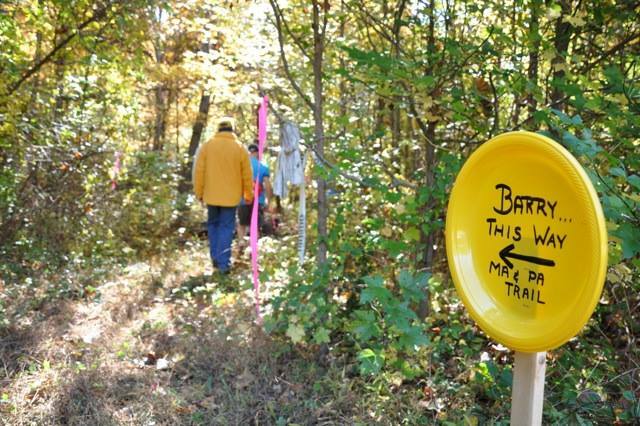 On October 25, 2015, the MA & PA board guided county and Bel Air officials along the planned trail connection route from Forest Hill to Bel Air. Thanks to County Executive Barry Glassman, Parks and Rec Director Jim Malone and the others who joined us. We will keep working with our partners in government to get the trail connected, hopefully soon. 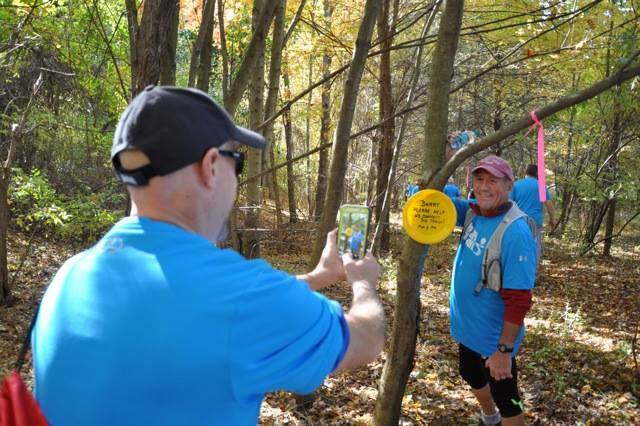 A special thanks to board member Phil Anderson who marked the connection route and put up some special signs (pictured below) to help guide the way! 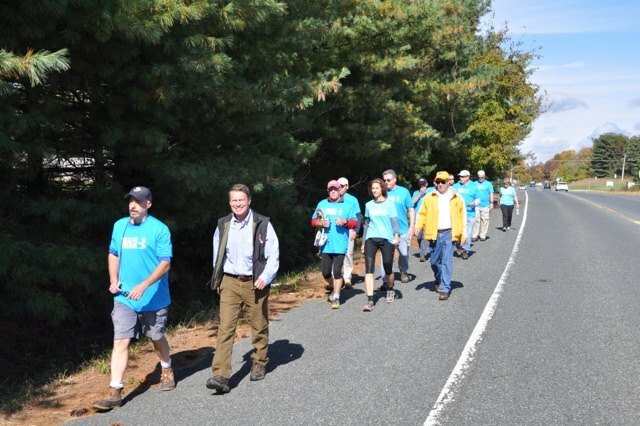 MA&PA Board member and past president Rod Bourn and Harford County Executive Barry Glassman lead a group along the proposed route of the MA&PA connection route.